After the wild success of Nintendo's classic console rehash in the form of the NES Classic and SNES Classic, many fans were wondering when, rather than if, the House of Mario will release its next classic console: the N64 Classic. Well, the latter might actually become a reality! As spotted by JapaneseNintendo, a Nintendo 64 trademark was applied by the Big N, including video game program, controller, joystick and TV game machine and more. While this by no means confirms that an N64 Classic is on the way, as companies usually renew trademarks to protect their IPs, there have been a few hints that the N64 will be next in the Classic line. Commercial success of the NES Classic and SNES Classic aside, last summer Nintendo filed a graphical trademark for an icon depicting the N64's three-pronged controller in a style very much akin to the NES Classic logo. Coincidence? The application also makes several mentions regarding downloadable software, in particular mobile ones. As such, it could also be pointing towards future Nintendo-branded mobile phone games. So what do you make of this news? Is Nintendo preparing for the eventual N64 Classic? 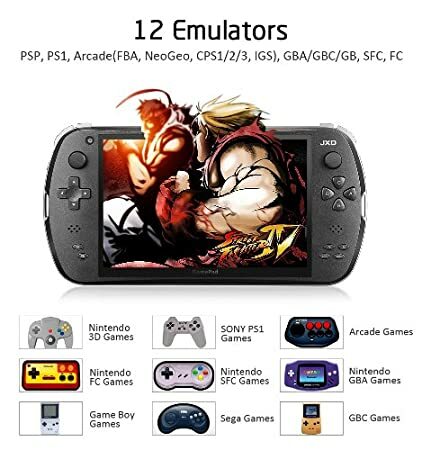 Or is the company planning something entirely different, like an N64 Best Of compilation for the Switch? Share your thoughts below! Heres an awesome release from StupidMarioBros1Fan of the Goldeneye Game hacked to have MARIO and co in it, it looks bloody awesome. After about 4 months my childhood dream has finally come true and is available for everyone to enjoy. For those of you who haven't seen my other videos: this mod replaces every character in GoldenEye 007 for the Nintendo 64 with Mario ones. Baron Samedi - Rainbow Bowser, the Powered-Up version of Bowser from Super Mario 64. Heads are now different expressions to make use of the Random Head system, hats/helmets are replaced with tiny models & Bounding Boxes of 0 because they would get hit first despite being inside the head. Thought about making them sunglasses, but it'd still get hit first before the back of the head did and overall was unfairly annoying. Mishkin/Donkey Kong is no longer the Defense Minister, that role now goes to May Day/Pauline with Donkey Kong being the Head of Special Forces. This was done to give Pauline a role in the story, as well as explain why the "Great Guards" use DK's body. Dr Doak is now Oddjob/Toad to give him some sort of role in the story, as a result the idea of Toad "blending in" with the other scientists is ridiculous. The year started from a massive code refactoring. The source code changed drastically. Direct calls to graphics API totally removed from main code. Main code works with graphics via proxy class, which passes graphics call to a graphics back-end. Currently there is one back-end, which uses OpenGL. The refactoring allowed me and other developers to make OpenGL back-end dynamically adoptable for abilities of user's GPU. Thus, the same code works without recompilation for GL ES 2.0, GL ES 3.X, OpenGL 3.X, OpenGL 4.X. The more your GPU can do, the better and faster result you will get. With VAO/VBO support it became possible to use OpenGL core profile and finally port GLideN64 to MacOsX. After the code refactoring I made major modification of frame buffer and video interface emulation. It was very large and complex work, but the results were rewarding. Fixed lots of old issues, the frame buffer emulation code became simpler. Long awaited support for Resident Evil 2. The way this game programmed makes it hard to emulate on PC hardware. Many special code required to emulate it properly. T3DUX microcode decoded. Last Legion UX, Shin Nihon Pro Wrestling Toukon Road - Brave Spirits and Shin Nihon Pro Wrestling Toukon Road 2 - The Next Generation now playable with HLE. Custom lighting method used by Acclaim games decoded. Armorines - Project S.W.A.R.M., South Park, Turok 2 - Seeds of Evil, Turok 3 - Shadow of Oblivion now look much better with HLE. F3DAM microcode decoded. This is custom microcode, which only one game uses: Hey You, Pikachu! Now this game is fully playable with HLE without major graphics issues. F3DFLX microcode decoded. This custom microcode is used to draw vehicles in F-Zero. With implementation of this microcode, the vehicles got reflection effect in HLE mode. Zelda Majora's Mask point-lighting. This game uses custom lighting method, which graphics plugins developers could not properly implement for many years. Finally, olivieryuyu decided to decode it and he succeeded. Star Wars - Rogue Squadron. This game was co-developed by Factor 5 and LucasArts. Factor 5 created very complex and very large microcode to port this game on N64. HLE implementation of the game was near impossible because of amount of work necessary to decode and implement that microcode. This summer me and olivieryuyu decided to take it. We achieved first very modest results and started crowdfunding campaign on Indiegogo to support our hard work. Luckily, the campaign was supported and this support encouraged us in our efforts. The game became fully playable in HLE to the end of summer. Also, Gilles Siberlin has very promising results with HLE implementation of BOSS ZSort microcode for World Driver Championship and Stunt Racer. It should be ready to next release. Fixes in software depth buffer render made Body Harvest fully playable. The game suffered from problems with collisions detection. Emulation of YUV-to-RGB color space conversion allowed to work with YUV textures without hacks and finally fix problems with Projectile Effects in Killer Instinct Gold. Both Vigilante 8 games became playable after fixes with frame buffer emulation. There are still many glitches in menus, but at least menus are rendered. Game play looks ok.
Merry Christmas, Happy Holidays, or simply Hello for those who do not partake! I bring you our first beta release. We felt we had been taking too long and needed to generate some interest. What we offer here is an improvement over PJ64 1.6 and I consider it to be our Legacy (hence the name). We have had great support from our friends, notably Azimer for his work on his audio plugin that he has graciously allowed us to release, Icepir8 for his video plugin (I will better support it soon, I promise ice! ), Witten for his always excellent work on cheats, Nekokabu who always brings insight into problems with games (I'm sorry I haven't had the time to fix everything you've pointed out!). Of course to those that found out how to fix the problems no one else looked at, zoinkity I love your work. Luigiblood, just wow with your work into 64DD -- I'll be visiting that library you've built for us at some point! Zilmar and Jabo the original two who I'll always love dearly. Despite the differences we have had I cannot how any rancor towards you. Yes I'm forgetting a whole lot of people! Thank you all though, everyone. Now I do have a favor to ask for anyone that uses PJ64 Legacy. What I ask is that you please report any issues you run into! Anything you feel is wrong or could be improved is welcome. I must also ask for your patience. I am programming on my leisure time and I just spent the entire Christmas holiday weekend doing nothing but programming and taking naps (I say naps but these were simply instances where I was no longer awake). Oh, you probably want to know where the download is. Unfortunately Gent is the one who set up this forum and website so we'll have to wait for him in the morning to do the posts! So until then it's in the Downloads section under Open Beta Packages. I'll upload here too and I'm sure Gent will get after me in his morning for doing something wrong. Nintendo 64! Gaming machine that birthed the modern Nintendo, maker of consoles with libraries both peculiar and specific! Like the Wii U, Wii, and Gamecube that followed, the Nintendo 64 played host to a handful of revolutionary games, some real garbage, and some stuff that was frankly just bizarre. 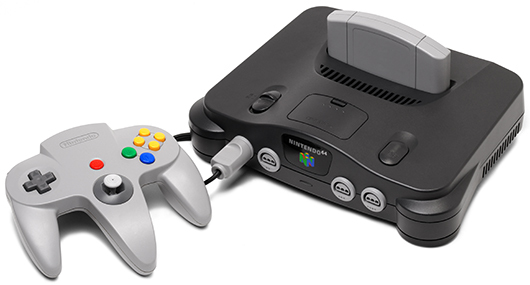 This week, the Nintendo 64 turns 18 years old, an auspicious year. That's when people start to branch out, to experiment beyond the social mores of youth and high school. Learning new things, meeting unusual people, and creating your adult self from the ground up. You know, when you take a comp lit class, get an industrial piercing, and start wearing garish, insane clothing. To salute the N64's passage into this period, we celebrate games that reflect that weird, weird, weird stage of life. Occasionally brilliant, sometimes embarrassing, these are 18 games for the 18-year-old N64.